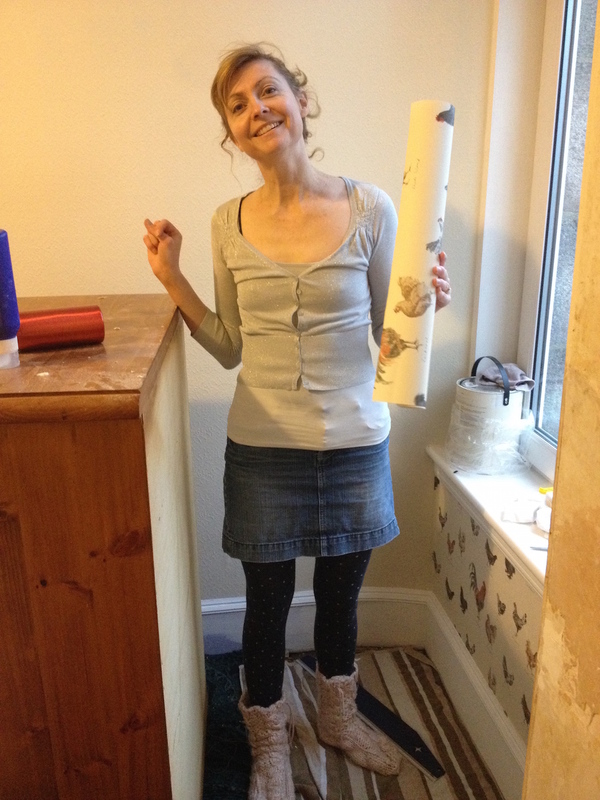 Despite people with more taste than I advising me against it, I chose chicken wall paper from Laura Ashley. Chickens aren’t suitable for a bedroom, they said, they would work better in the kitchen. Well, I’m not ready to wallpaper the kitchen and I had already bought the chickens and so I decided it was going to be a themed bedroom: The Chicken Room. 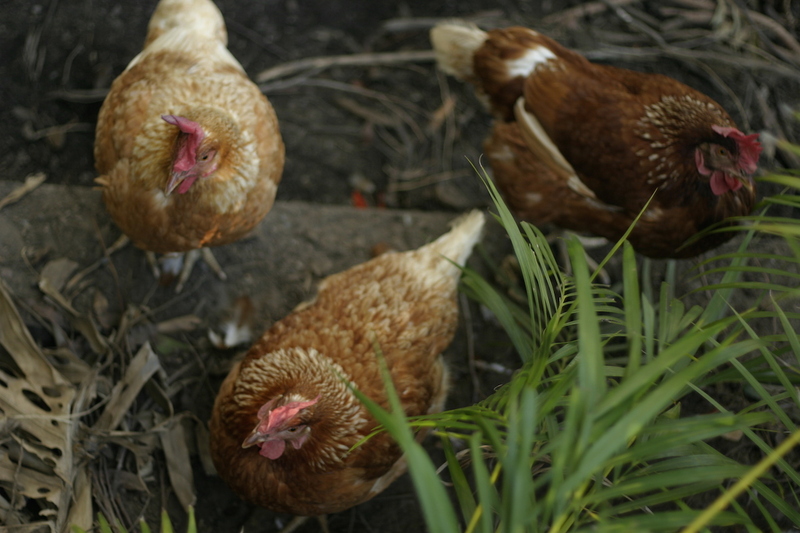 I also happen to love chickens and used to have three as pets when I lived in Brisbane: Heather, Hazel, and Henrietta. 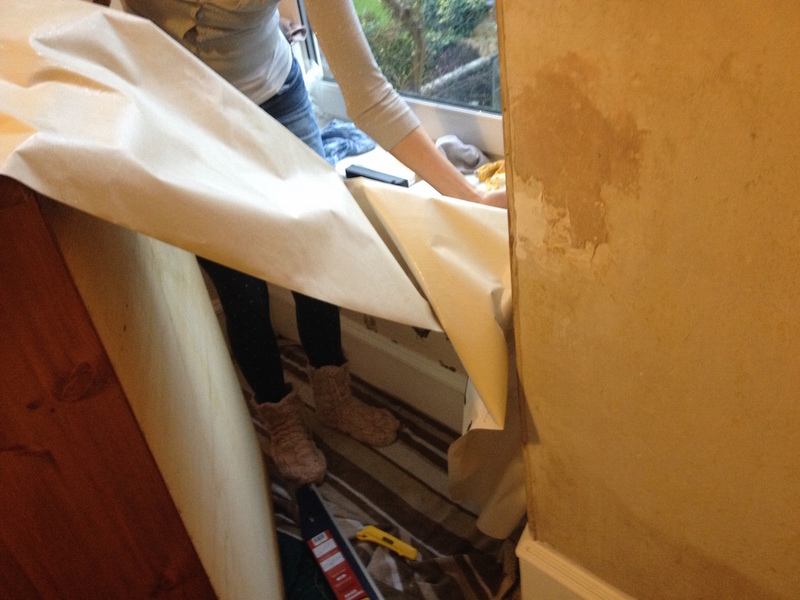 And so the chicken wallpapering began. I started with the easiest bit first. So far so good and feeling very pleased with myself at this stage. Here’s where I started swearing. Ben spent a lot of time giving me the “Told you so” look and so I returned it with the finger. The room isn’t quite finished. It still needs painting as the walls and ceiling are blue (what were they thinking!!!). 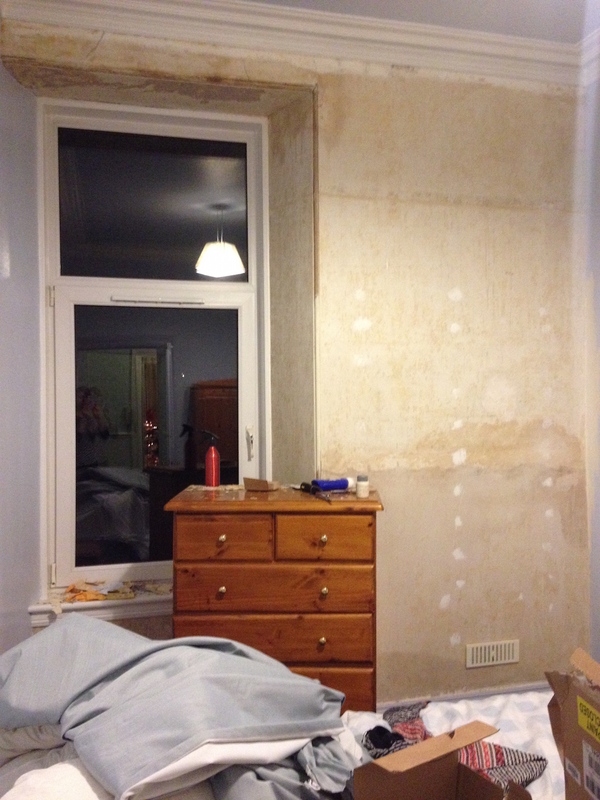 I painted all the walls around the wallpaper earlier in the week because I thought it wise to do it before wallpapering otherwise I would be sure to get paint on it. But I still have more to do, including the ceiling. But it’s a huge improvement on how it was and I rather like the chickens. It was not an easy job but I would do it again. Perhaps I’ll dedicate this post to Henrietta, Heather, and Hazel – my chooks – RIP. 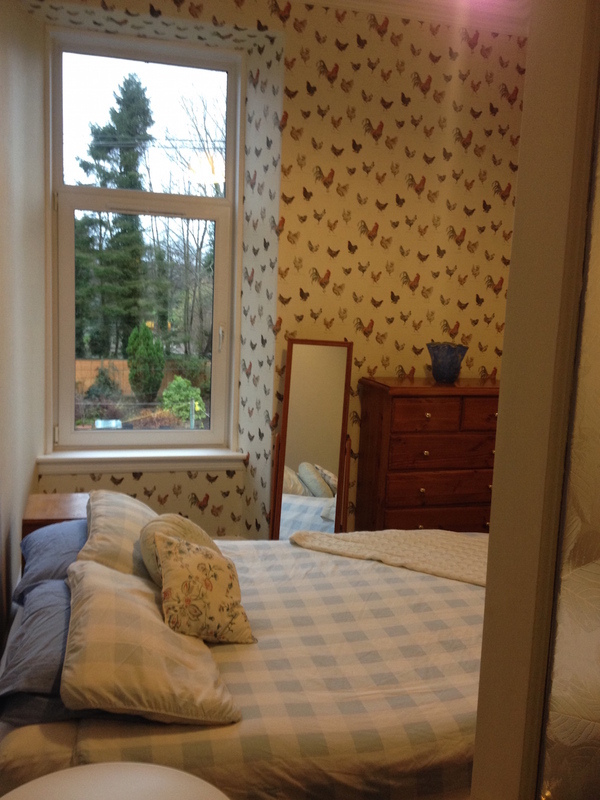 Posted in Journal and tagged bedroom, chickens, decorating, DIY, Laura Ashley, painting, redecorating, wallpaper. Bookmark the permalink. Putting wallpaper on a wall together is a good test whether you found the right life partner. I agree and if all that came out of it is a couple looks and a finger, I’d say your doing well! That wallpaper is cool. So are the names of your hen pets. I am amazed by the time you take not only to do something but also to click the photos etc. to use in the blog about it. You break me up 🙂 I would never think of putting chickens on the walls but I like it. I thought of you yesterday. I was given a bottle of 12 year old GlenDronach scotch for Christmas. I understand the distillery is in Aberdeenshire. Is it near Aberdeen? I’ll have to check your earlier posts. I haven’t heard of GlenDronach and I see they have a distillery in Aberdeenshire. It’s not far away. The closest to Aberdeen is Glen Garioch which I have been to. There are lots of distilleries in this part of the country because there’s so much barley grown here. One day I would love to visit the area. Aberdeenshire is good for whisky, castles, and golf tourism. Lovely paper. Good job! Papering is not easy. When I was 21 I painted a ceiling yellow cos I didn’t realise you weren’t supposed to paint the ceiling too. I think yellow would be better than blue. White is best because other colours can make the room feel dark. I love the chickens! Well done! And only you would do that all in a skirt. Love it! 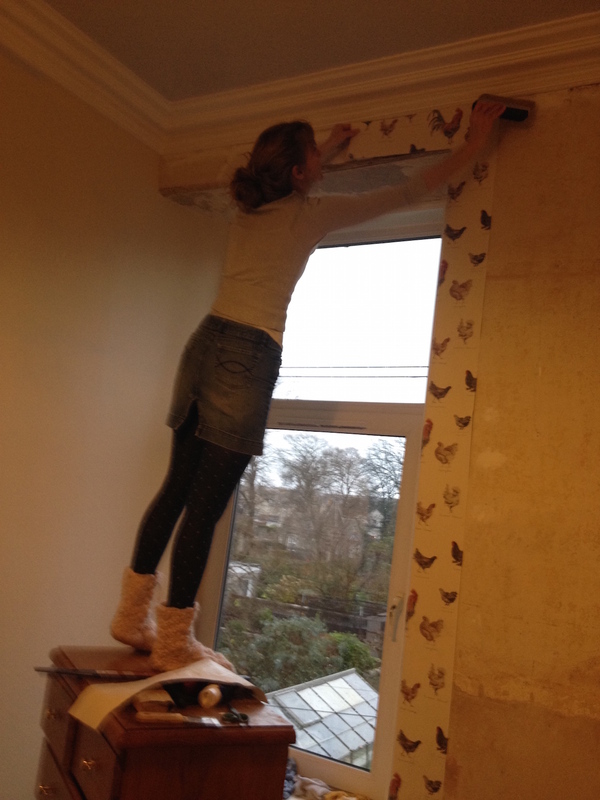 Yes, I definitely needed a proper ladder. It got tiresome dragging that chest of drawers around to reach the high places.